Methamphetamine contamination is a serious risk for purchasers, landlords and property owners across Brisbane and Queensland. A major risk is for legal liability between and current or future tenants and the property owner or rental agent. Additionally, methamphetamine contamination can severely decrease the value of the property once contamination is discovered. Any potential purchaser should acknowledge these risks in residential properties. Methamphetamine risks to health are well documented across Australia, and this comes alongside government guidelines aimed at maintaining a safe living standard for all Australians. The property management industry has been plagued by a lack of understanding in regards to ‘safe levels’ and the process to take when a contaminated property is discovered in a rent role. 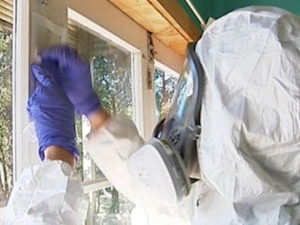 Advantageous tenants use a contamination situation to their advantage. There are documented cases of tenants successfully seeking compensation for contaminated contents and back-paid rent on the assumption that the contaminated property has been leased without the rental manager or agency doing their due diligence to ensure the property is habitable. The landlord or property manager is left with the evidential burden to prove otherwise. This is despite the possibility that the contamination may have occurred during the tenancy. Thus a compliant baseline test undertaken at the outset of any tenancy is a crucial step for any landlord or property manager to undertake. Perhaps the most crucial step in preventing contamination risk is proper vetting and checking of tenants in accordance with acceptable practices. Assuming this is adequately followed, the property manager or landlord will know as soon as the property has a contamination issue. Further, the tenant will not be able to question when the contamination occurred if the pre-tenancy meth check is disclosed at the outset of the tenancy. As such, baseline screen test is a very important and worthwhile cost and may save you thousands in the long run. Despite the above prevention methods, contamination damage may occur. Ensure that the validation is from an accredited tester who reports with an accredited lab. In most tenancy situations if proper management obligations and any other insurance policy obligations are followed, insurance will cover some or all of the damage, however, remediation is likely to be capped with excess payable. The number of Meth Labs being found in Queensland has significantly increase over the last couple of years to never seen before levels. There are now hundreds of Meth Labs being found annually in residential properties, hotels and short-term accommodation providers with the number of Labs being found growing at a significant rate. The reasons for this are understandable; meth can be made from easily available ingredients that are sold in supermarkets, drug stores, hardware’s and agricultural chemical suppliers. Brisbane Crime Scene Cleaning specialise in the clean up and remediation of meth labs in Brisbane. To discuss the clean up of a clandestine drug lab with a certified biohazard technician, contact us today.